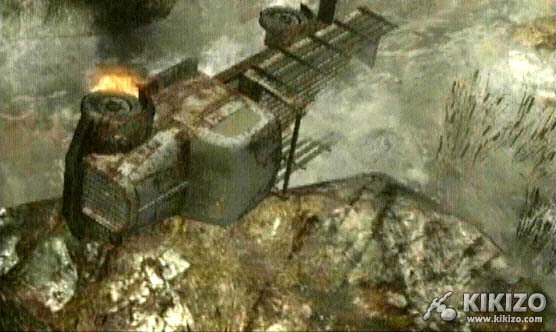 Terror finds a new home on GameCube, as we offer our final verdict on what has to be the best survival-horror title on the planet! All-new videos included. There are times when you'll have to worry about more than just keeping Leon safe, after getting saddled with babysitting Ashley who tags along at certain points of the game. Her presence is certainly a hindrance at times, and adds strategic play to the game as you're kept busy pulling double duty protecting both your asses. 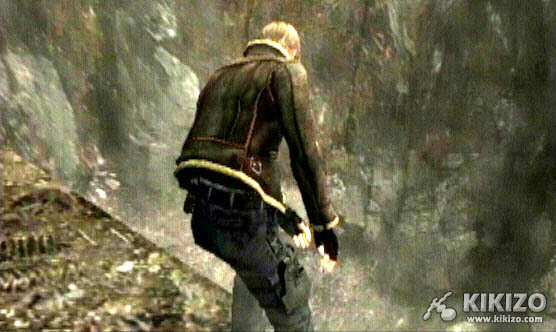 Not totally useless however, Ashley does pull her own weight at times, serving as a solution to some of the game's physical puzzles, as well as helping to reach new areas, activating switches and levers. And all that. But while crazed villagers appear throughout a good portion of the game, they're just a small taste of things to come! As you progress enemies become more dangerous and harder to kill; some are able to take you out with just one hit. 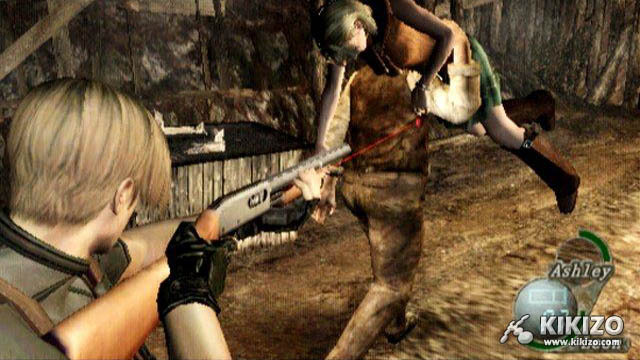 Chainsaw-wielding maniacs, cultists, mutant bugs, monstrous giants, and military enemy types are among those waiting to cross paths with Leon - all with the very latest latest in "must destroy Leon" programming. 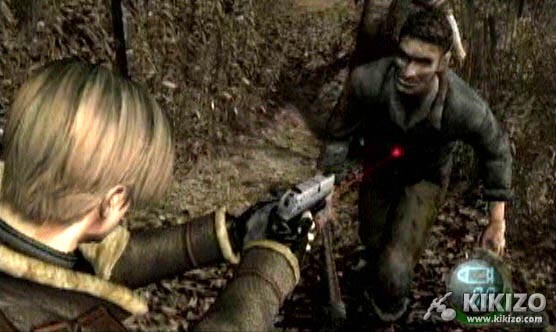 The advanced AI in Resident Evil 4 surely makes for some cunning enemies to deal with, ones that'll keep you on your toes all throughout the game. They attack in large groups, coordinating their attacks and strategically swarming you from all sides. 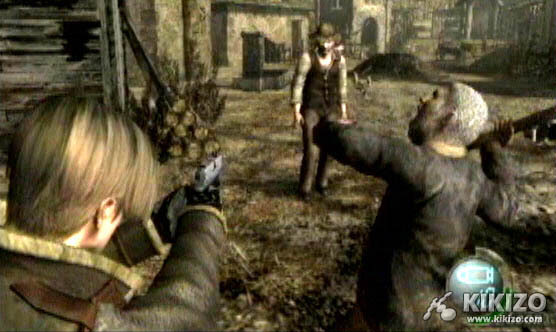 Enemies actually use their heads for something other than target practice, tending to block or dodge some of your attacks. 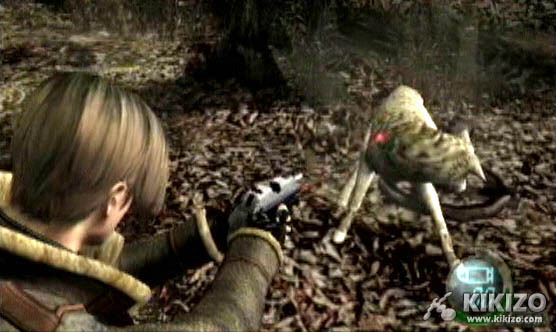 On top of that many of the enemies are armed with weapons and even set traps for Leon. Trip-wired explosives and bear traps are just a few of the booby-traps set to slow you down - find me a zombie that can do that! Resi 4 is a violently bloody game, so those of you who tend to get a little queezy around the sight of blood should be prepared for some gruesome dismemberments, impalements, and exploding head scenes just to name a handful of the potentially disturbing stuff you'll see. 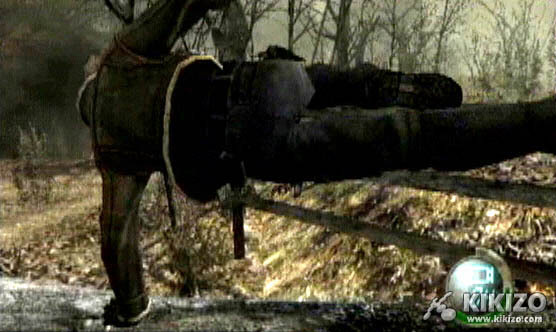 And while I didn't encounter any startling "jump" moments in the game like I did in previous RE games, overall I found Resident Evil 4 a more nerve-wracking experience. My arm was literally trembling while trying to fend off some of the non-humanoid enemies you'll cross paths with later in the game, and that's not even counting the horrific boss encounters. Boss fights are both fun and freaky at times, requiring quick reflexes, smart battle strategies, and loads of firepower as you go up against some truly monstrous foes. 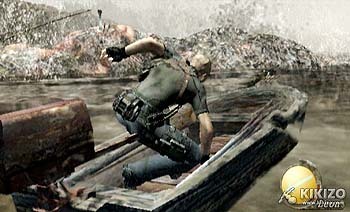 With its fast-paced action and pulse pounding intensity, Resident Evil 4, for the most part, plays like a straight up action game that's significantly more challenging but also a bit more linear than its predecessors. 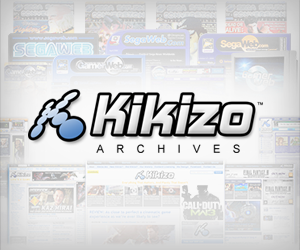 While there are a handful of puzzles to solve, fortunately puzzles are less prevalent and less of a chore here than in previous RE games, and the need to hunt down keys and activate switches has been kept to a comfortable minimum. Another differing aspect is that while you'll often be running for your life, it actually pays to stay and fight your bloodthirsty adversaries. By killing off many of the enemies you encounter, you'll be rewarded with their valuable items. 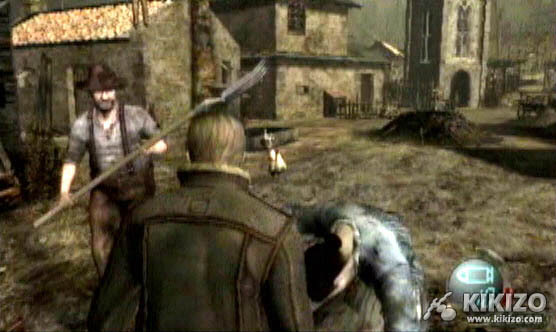 Lighting emanates from the dead bodies of enemies, as well as killed animals such as crows, snakes, and fish, indicating the types of items players can obtain from the fallen beings. This includes ammo for the variety of weapons in your arsenal, money, and health replenishing items. All the items are stored in Leon's attaché case which, while very limited in capacity, allows for some effective inventory management by letting players shift and rotate items to make room for more stuff. The money aspect certainly adds to the formula; players can use the money and gold acquired to purchase newer and more powerful weapons, as well as other items such as health sprays, treasure maps, and larger attaché cases from the mysterious merchant dude who appears in certain locations. What makes it so darn cool is that weapons can be purchased, fully upgraded, and even resold to the merchant in order to purchase more stuff. The weapons at Leon's disposal could certainly put him in the one-man army category; rocket launchers, grenades, hand cannons, machine guns, shotguns, and sniper rifles make up just a few of the weapons that can be obtained - if you have the money. New (NEW) Direct feed gameplay - two giants! Direct feed gameplay - chainsaw doesn't help Leon out much.